Apogee has squeezed every ounce of their digital audio expertise into the newly-rebuilt Ensemble Thunderbolt, setting yet another standard for sound quality, performance, and functionality. 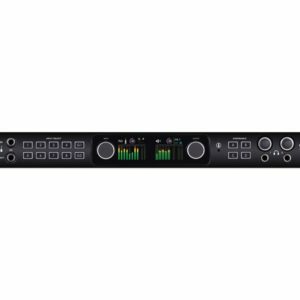 By utilizing blazing-fast, cutting-edge Thunderbolt 2 technology, the Ensemble Thunderbolt gives you ultra-low latency and unmatched CPU efficiency, allowing you to monitor more effectively, record more tracks, and process more plug-ins. Of course, the Ensemble Thunderbolt’s eight digitally-controlled mic preamps and premium AD/DA converters give you the phenomenal sound quality you’d expect from Apogee. Apogee Duet lets you effortlessly capture brilliant recordings on your iPad. The slim design fits right on your desktop, and the iOS/USB connection makes it easy to connect to computers and iOS devices. 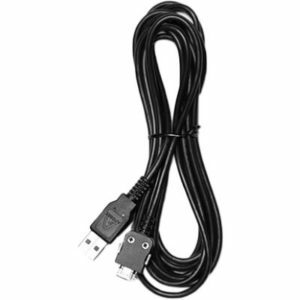 Duet includes a sturdy breakout cable that keeps your desktop organized, putting your 2-in/4-out connectivity where you need it. The next-gen AD/DA converters provide stunning audio with up to 24-bit/192kHz resolution. 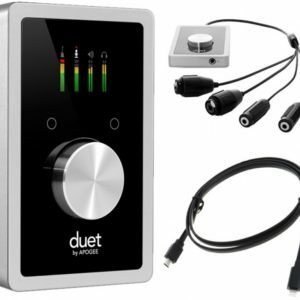 If you’re looking for a premium interface for your iPad and on-the-go sessions, the Apogee Duet is an unbeatable choice. You get outstanding sound quality, the right I/O, and workflow features that help you get the top-level results you want. 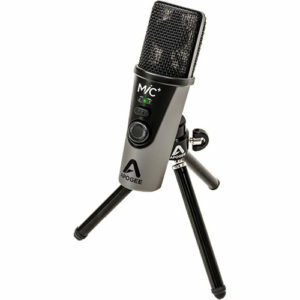 If you record music to a Mac, the Apogee Element 46 is for you. 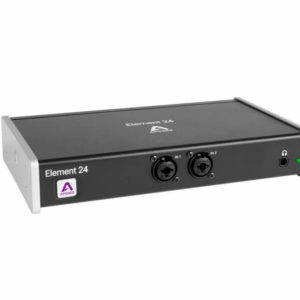 The Element 46 is a 12-in/14-out audio interface that takes the best of cutting-edge Apogee gear and packs it into a streamlined, cost-effective unit. 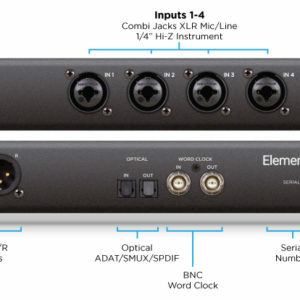 The Element 46 gives you four front-panel mic/line/instrument inputs on combi connectors, two rear-panel balanced XLR outputs, two stereo headphone outs, and word clock I/O. Four of Apogee’s world-class mic preamps are onboard, with selectable phantom power. For expansion flexibility, optical I/O is also provided with ADAT (8 x 8), SMUX (4 x 4), and S/PDIF (2 x 2) compatibility. Apogee’s Element Control software gives you remote control of your hardware on your Mac and wireless control via iPhone, iPad, or iPod touch. 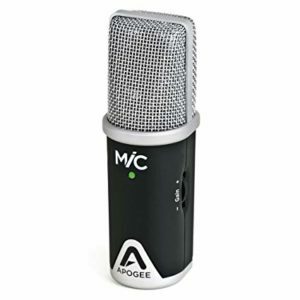 If you record music to a Mac, the Apogee Element 88 is for you. 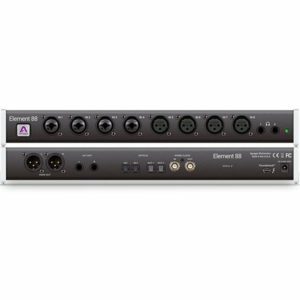 The Element 88 is a 16-in/16-out audio interface that takes the best of cutting-edge Apogee gear and packs it into a streamlined, cost-effective unit. The Element 88 gives you eight balanced front-panel analog inputs, two rear-panel XLR outputs plus two balanced 1/4″ outputs, two stereo headphone outs, and word clock I/O. 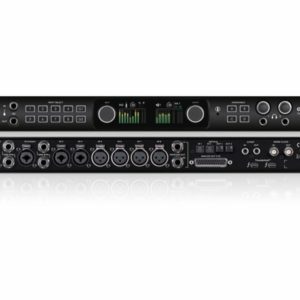 Eight of Apogee’s world-class mic preamps are onboard, with selectable phantom power. For expansion flexibility, optical I/O is also provided with ADAT (8 x 8), SMUX (8 x 8), and S/PDIF (2 x 2) compatibility. Apogee’s Element Control software gives you remote control of your hardware on your Mac and wireless control via iPhone, iPad, or iPod touch. 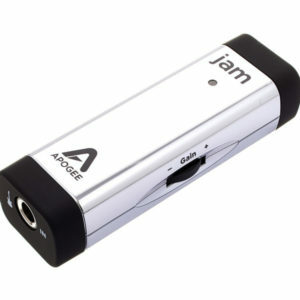 The Apogee Jam 96k brings amazing 24-bit/96kHz sound quality to your iOS device or Mac. Just plug your guitar in and get going. The Jam 96k works seamlessly with most iOS guitar effects and recording apps, giving you limitless options right out of the box. Easily adjust your levels with the control knob, boosting your signal by up to 40dB. 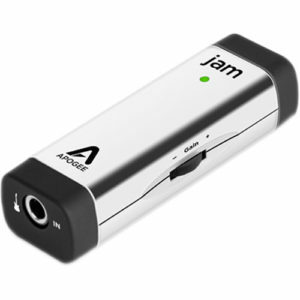 JAM 96k is a premium digital converter and instrument preamp featuring Apogee’s PureDIGITAL technology. PureDIGITAL means no noise, just great guitar tone. JAM’s special circuitry is optimized to make the amps and effects in any guitar or music creation app sound their best. You will notice the sonic difference between JAM 96k and other similar products immediately. There are three models of JAM; The original JAM for iPad and Mac, JAM 96k for iPad and Mac and the new JAM 96k for Windows and Mac.